It has been just over two months since the bitcoin block chain was rocked by a near disastrous fork causing the bitcoin price to crash. The culprit of the crash was found to be a bug that prevented pre version 0.7.1 bitcoin clients accepting large blocks that could be generated by version 0.8 clients. A temporary fix was put into place by Bitcoin Project lead developer Gavin Andresen that forced version 0.8 clients to generate blocks that version 0.7.1 could understand. It is important to note though, the fix was a temporary one! In just under two days on the 15th of May (I have made a countdown timer below for your convenience) the fix will expire and version 0.8 clients will once again be able to make large blocks that older clients will not be able to understand. This will lead to a hard fork where the newer clients and the older clients will disagree on the state of the blockchain. It appears that most miners and pools have upgraded to version 0.8 clients already but it is yet unknown how many users are running older clients so this is the last opportunity for them to upgrade and avoid any issues. 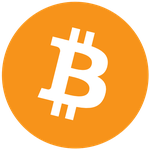 Upgrading is only necessary of you run a pre version 0.8 copy of the official BitcoinQt client from bitcoin.org you can tell if you need to upgrade by opening your client and selecting the options Help => About Bitcoin. You should then see a window similar to the screen below, if your version number is anything below version 0.8 (the image below is version 0.8.1-beta ) you should immediately go to bitcoin.org and download and install the new client. Since most (if not all) miners and pools have already upgraded it is unlikely that we will have an extended fork like we did back in March but there is a very real risk that individual users may experience issues. This article is also available at the authorâ€™s website, mineforeman.com.